Since 1984, the National Council on U.S.-Arab Relations has provided American professionals in academia, government, and business unparalleled educational experiences in the Arab world through the Joseph J. Malone Fellowship in Arab and Islamic Studies. The Fellowship projects its participants into the dynamics of Arab-U.S. relations and provides first-hand exposure to the region's considerable cultural, economic, political, and social diversity pursuant to increased knowledge and understanding. 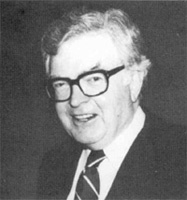 The fellowship is named in honor of Dr. Joseph J. Malone (1924-1983), an educator, historian, and author, who devoted his life to promoting better understanding between Americans and Arabs. The Malone Program provides, through a study visit to an important Arab country, an exceptionally powerful educational experience that includes introductions to host-country government officials, businessmen, academics, and scholars, and the opportunity to discuss Arab world issues and Arab-U.S. relations with American and Arab scholars, policymakers, and other specialists. Study visits under the Malone Program are normally one-to-two weeks in duration. Malone Fellows are responsible for their own domestic transportation to and from Washington, D.C., and, in some cases, for international travel. Some study visits may include additional fees. The Malone Fellowship is available to qualified American professionals in academia, government, and business. Applicants must be U.S. citizens. Students are not eligible. Individuals interested in participating in the Joseph J. Malone Fellowship in Arab and Islamic Studies Program should complete a Program Application (found through the link below) and submit it to the National Council via mail or courier. If you have any questions please call the National Council on U.S.-Arab Relations at (202) 293-6466.